The heavy-duty Mastercraft QuarryMaster deluxe floor machine package is one of the smartest and most economical choices you can make when it comes to marble, tile, terrazzo, stone or concrete restoration and maintenance. It's 11 to 1 gear ratio and DC rectified for AC operation make it the most rugged floor machine on the market today! Built-in AMP meter allows for constant monitoring of current draw and selection of the correct weight. This ultimate stone floor machine also features a reinforced, rust-proof aluminum apron with lift handle for added strength and rigidity and triple planetary, permanently lubricated gear system. This deluxe package comes with two 10 pound discs and three 25 pound discs, which allows you to adjust the down pressure on the head of the machine; a 4 gallon solution tank for dispensing liquid when you need it; a standard pad driver and diamond disc driver with five quick change diamond mounting pads and splash guard skirt to contain slurry. Versatile, powerful and built to last, this work horse of a machine has power to spare and will deliver top value and long lasting performance for all your hard floor applications. Looking for a stone and marble machine in a different size? 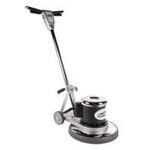 Check out the 10" marble refinishing machine by Mastercraft that we also carry. 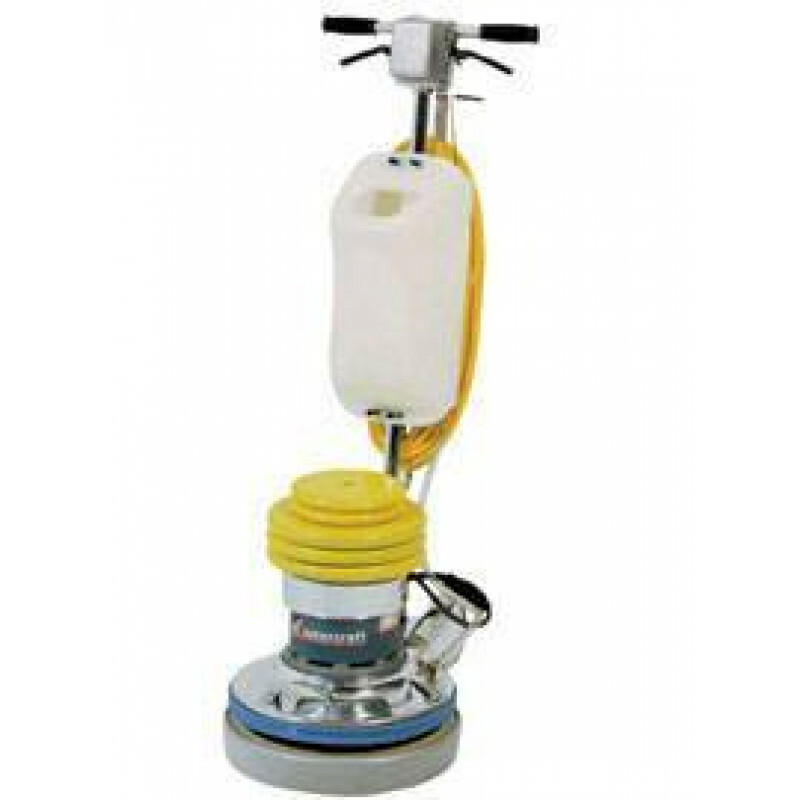 Also take a look at the other 20 inch floor scrubbing/buffing machines we offer. You're sure to find exactly what you're looking for.